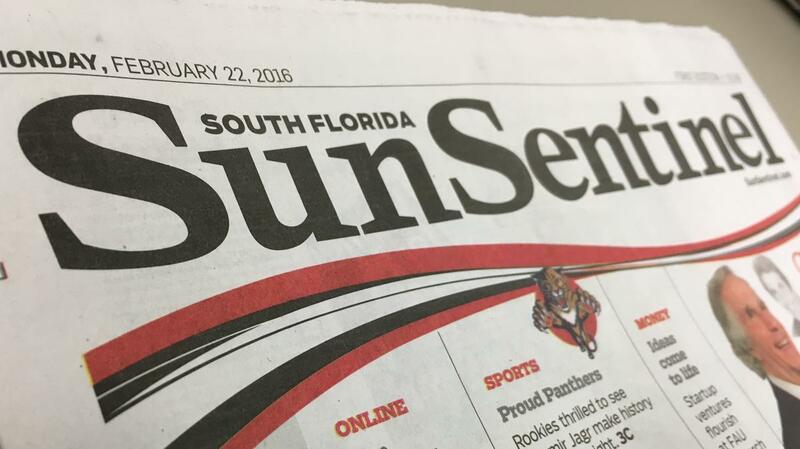 The South Florida Sun Sentinel is looking for a creative and versatile editor to lead its digital-first, award-winning sports department. Our team covers a dynamic and competitive market that boasts four pro teams (the Dolphins, Heat, Marlins, and Panthers), college teams that include the University of Miami Hurricanes, and local high schools that routinely produce top collegiate and pro athletes. This is a job for an experienced and hungry leader who is eager to take a talented staff to new heights. · Drive aggressive coverage of our local sports beats in a competitive media market. · Innovate ways to build audience, including using social media and email newsletters. · Brainstorm fresh ideas for video to accompany stories on all our sport beats. · Work with writers and editors to generate enterprise stories that go beyond daily beat coverage. · Make fast decisions on story play on the sports channels of our website. · Use digital metrics to make coverage decisions and assess areas for audience growth. · Plan and execute high-quality special sections, including our award-winning annual football preview, three All-County high school sections and other season preview packages. · Collaborate with advertising to monetize our strongest content. · At least three years of management experience. · Experience directing major breaking news and enterprise coverage. · Strong story development and line editing skills. · Facility with social media, web production and search engine optimization. Interested and qualified candidates should apply to Managing Editor Dana Banker, dbanker@sunsentinel.com, by Friday, Oct. 6, 2017. Applicants should include a resume, a letter of interest outlining their vision of the job, and work samples that illustrate competitive success, journalistic depth and multimedia prowess.